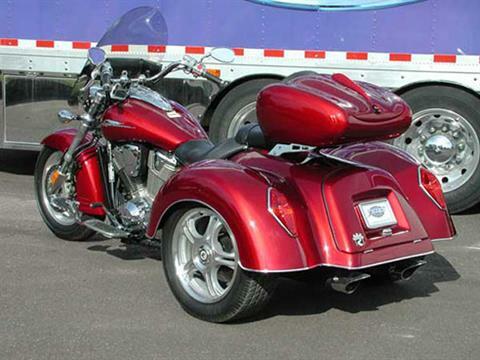 The big boy of trikes. Reliable, liquid cooled powerhouse. The HSC1800 is simply a “purpose built” cruising machine. 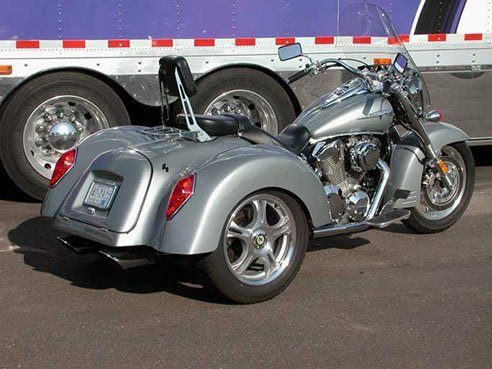 This trike can be outfitted for cruising or touring. 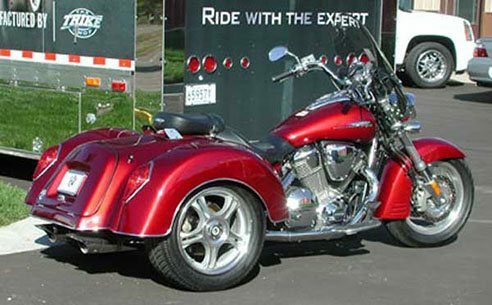 Every HCS1800 Roadsmith Trike is built with the attention and craftsmanship needed to be a true extension of the Honda™ motorcycle itself. Take a closer look and you will see what we mean. Have a fun, worry-free ride. AUTOMOTIVE DIFFERENTIAL: Our differential is constructed from standard automotive ring and pinion gear sets. The original application of our differential was a Jeep. We cut down this cast iron housing and make an Independent Suspension differential out of it. The components inside of it are all new, including the 3.55:1 ratio ring and pinion. We make the gear ratio slightly deeper to retain the impressive power of this monster. 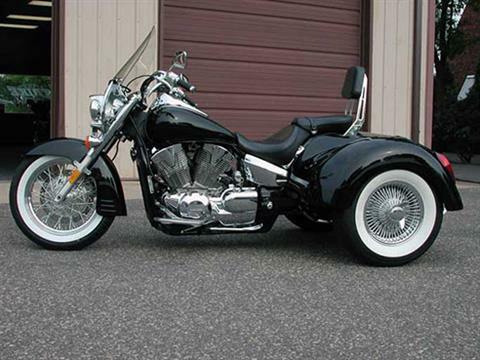 With steering kit - 111 in. At the body - 56 in. With steering kit - 79 in.